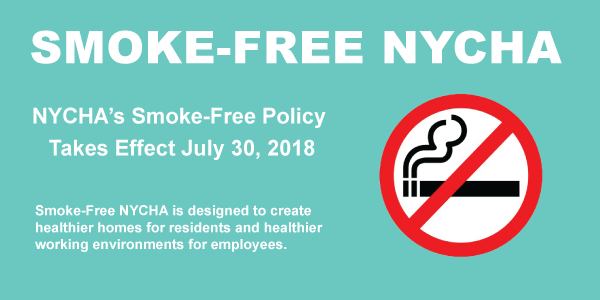 Effective July 30, 2018 residents of NYCHA buildings are no longer allowed to smoke anything in their apartments or in any common areas inside of a NYCHA building or outside within 25 feet of any NYCHA building. You heard me correctly. I didn’t stutter. All 400,000 NYCHA residents are now banned from smoking in their apartments, in any part of their buildings or within 25 feet of any NYCHA building. This has to be the silliest mandate in the history of absentee landlords. NYCHA has, in recent months, become the poster child for mismanagement. Gov. Cuomo has been quite blunt about his feelings regarding NYCHA and Mayor de Blasio’s oversight of the agency. In March he said, “NYCHA has a management problem.” The biggest issue is the blatant negligence as it deals with building repairs. Leaky pipes, no heat and hot water, holes in the walls, issues with rodents, the issues have become so numerous and the response so invisible that many residents have taken the steps to sue the city. In November 2017, NYCHA Chairwoman Shola Olatoye potentially put thousands of kids in danger of lead poisoning by ignoring the need for mandatory apartment inspections, and then lying about it to HUD. She signed a document verifying the inspections, knowing full well that said inspections never occurred. In January, during a major storm, 311 received 1,262 complaints for no heat from NYCHA residents. Just last week, it was revealed that there is pollution in more than 600 NYCHA water tanks. The inspection reports include findings of flying insects, dead squirrels, dead birds, and even in some cases homeless people using the tanks as shelters and toilets. NYCHA is easily New York City’s biggest slumlord, which makes the move to ban smoking all the more confusing. But it isn’t that confusing. This is a wicked case of classism, a city agency notoriously underserving its customer base. The lies and the mismanagement speak to a willingness not to provide basic human services. When 820 children from NYCHA homes are diagnosed with lead poisoning, yet the head of NYCHA is willing to lie to federal authorities about lead inspections, one can only assume that NYCHA has no plans to ever make it right. Mold problems are a health risk. One might say that mold problems are a bigger threat to good health than moderate smoking. Yet, while NYCHA chooses to ban smoking, nothing is being done to cure the mold issues. This decision reeks of classism, and even more disheartening it reinforces the criminalization of NYCHA residents. Housing police do vertical tours of many NYCHA buildings. 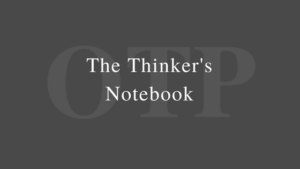 If they should happen to catch tenants smoking a cigarette in the stairwell, this new mandate gives the officers the leverage to question the resident, to ask for the resident’s identification and to run the resident’s name through the system. The same goes for the outside of the building. Cops that spot residents smoking within 25 feet of any NYCHA building can question the residents and run their name for prior open warrants. This mandate will increase police interaction with building residents, and certainly not in a good way. Rent is already “too damn high” in NYC. Whole groups of people are already being displaced due to overdevelopment and rent gouging, with neighborhoods that were predominantly Black and Brown 25 years ago going through an ethnic cleansing of sorts, addition through attrition. Jobs are scarce, child care is expensive and many basic human liberties are simply financially out of reach for folk. This is the New York that NYCHA residents, like many of us, battle on a daily basis. However, unlike you and I, when NYCHA residents go home after the battle, they are met with leaky pipes, mold in the walls, rodent infestations and a landlord that ignored their cries for help. Can you imagine having to live like that? Can you imagine all of your 311 calls ignored, every attempt you take to inform your landlord about major issues in your apartment falling on deaf ears, but then out of nowhere comes a mandate for you to cease smoking in your apartment? If this isn’t marginalization of a specific community, then I don’t know what is. I don’t smoke. I hate the smell of cigarettes. But what I hate even more is when bureaucracies use manipulation and control to usurp personal liberties. This smoking ban is an attack on NYCHA residents. It will eventually lead to criminalization of certain residents, and it doesn’t solve any of the myriad of real issues plaguing NYCHA buildings. It’s time for the tenants to fight back the only way that these fat-jowled bureaucrats understand. Rent strike!